The Wolf Hunters slot is a five reels slot with three rows and 20 paylines. The slot comes from Yggdrasil Gaming and the set of the game is an ancient city at night. Werewolves awaken and spread fear and terror in the city. From 20p land on your reels werewolves, werewolf hunters and other gruesome symbols. The maximum bet is £ 100 and you can play the Wolf Hunters on all devices such as tablets, smart phones and desktops. The slot is well designed and you can expect re-spins, wilds and various free spins feature. Symbols and Payouts: The symbols of the Wolf Hunters Slot consist of themed symbols and the poker cards clubs (♣), diamonds (♦), hearts (♥) and spades (♠). Last mentioned are your low paying symbols with payouts up to 70x your bet. Themed symbols include bottles with poison, stakes, monster traps and the werewolf itself. The top symbol in the base game is the werewolf symbol with payouts up to 500x your bet. There is also a male and a female hunter and a wild symbol. Werewolf feature and Free Spins: The Werewolf feature triggers you when a werewolf symbol lands on your reels. The werewolf hunter then attacked the werewolf. If successful, the symbol turns into a Sticky Wild and you get a re-spin. You can also trigger free spins here. There are two different bonus free spins: the Slayer Free Spins feature and the Rage Free Spin feature. Both features are additional bonus features besides the normal scatter free spins. Scatter Free Spins feature: Another Free Spins feature is the one you trigger with Scatter symbols. For this you have to land three hunter scatter symbols on your reels. You then get 10 free spins with the chance to extend the feature. If you get more Scatter symbols, the werewolf will become a wild and covers the entire reel. You can also upgrade to the Slayer Free Spins feature and the Rage Free Spin feature with Wild Symbols. The three Free Spins feature are definitely the highlight of the game! The Wolf Hunters Slot is a great game with fast twists and lots of bonus features. It definitely belongs to Yggdrasil’s top games! 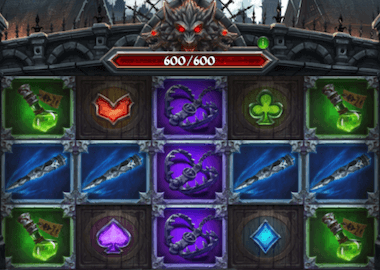 You can now play the slot for free if you click on the Wolf Hunters slot banner above. You can play other Yggdrasil Slots on our Yggdrasil Gaming review page. Recommended UK Casinos with Yggdrasil Slots are Spinit Casino, Sloty Casino and Casino Cruise. Join the casinos and grab hundreds of free spins and up to £1,500 welcome bonus.